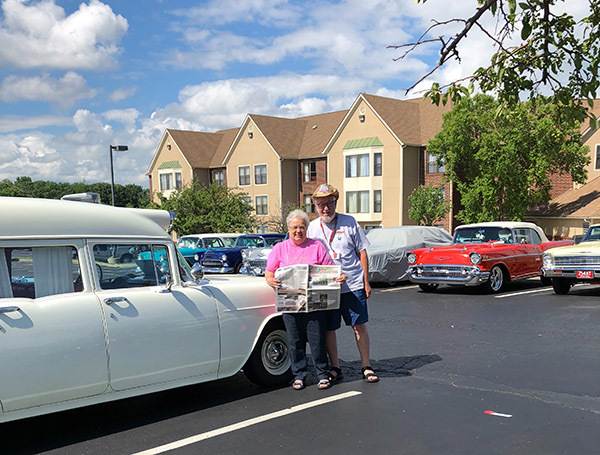 The Post went with Phil and Sue Harrison to the Chevy Classics State Rep Show in Fairborn, Ohio near Dayton, June 21-24. Over 80 cars were registered for the four-day show. Despite two days of sporadic rain, the show went on and cars were judged and admired. Sue and Phil drove their “one-of-a kind” 1955 Chevy Ambulance about 350 miles to the show. Thanks so much, Phil and Sue, for taking us with you!